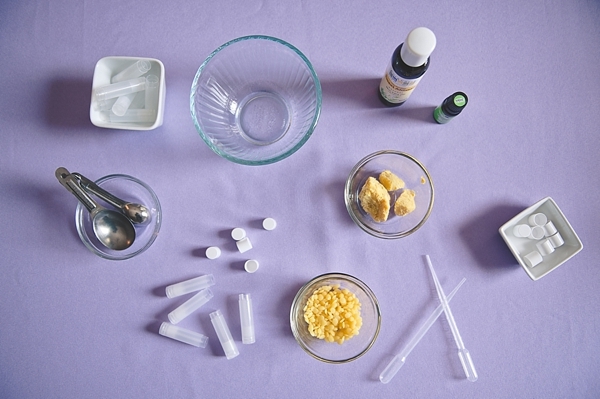 In a glass mixing bowl, melt your beeswax pellets, almond oil, and shea butter together in the microwave for 30 seconds. With silicon spatula, stir and then repeat in 30 seconds intervals until a smooth, clear liquid consistency. Add your drops of peppermint oil and stir. 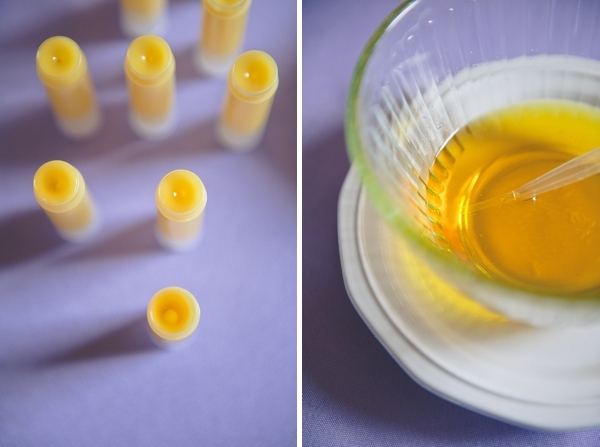 Using the plastic pipettes, quickly squeeze and pour the liquid into the lip balm tubes to the very top without overflowing (the balm will settle below the rim as it cools). Set aside and let harden. No microwave? No problem! Use a double-boiler by placing a heat-friendly glass bowl over a small pot with about an inch of water in the pot; the stove should be on a low heat, but high enough to make the water simmer. You can switch out the peppermint oil for another type of essential oil like rosemary and lavender. Avoid citrus-based essential oils if you're prone to sunburns as these oils are photosensitive. 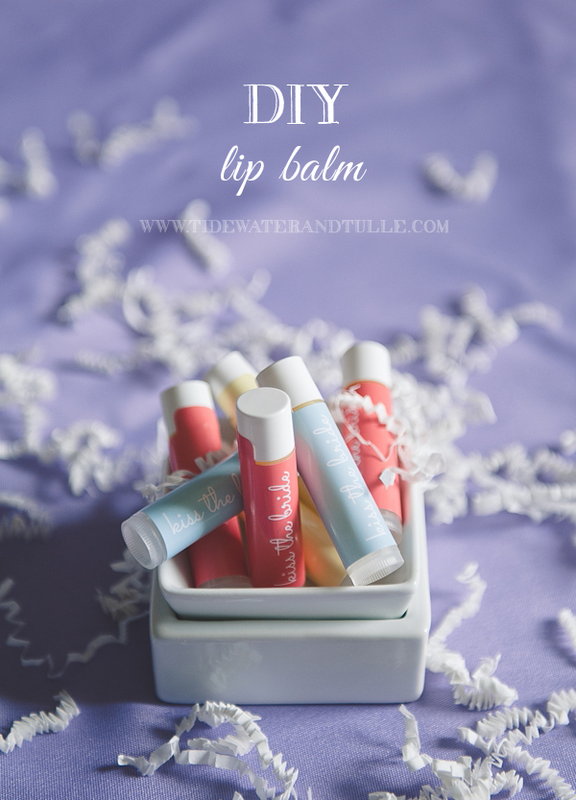 Even though the beeswax has a natural SPF of 15, you can make your lip balm with extra SPF by adding raspberry seed oil which is said to have natural 30-50 SPF properties. 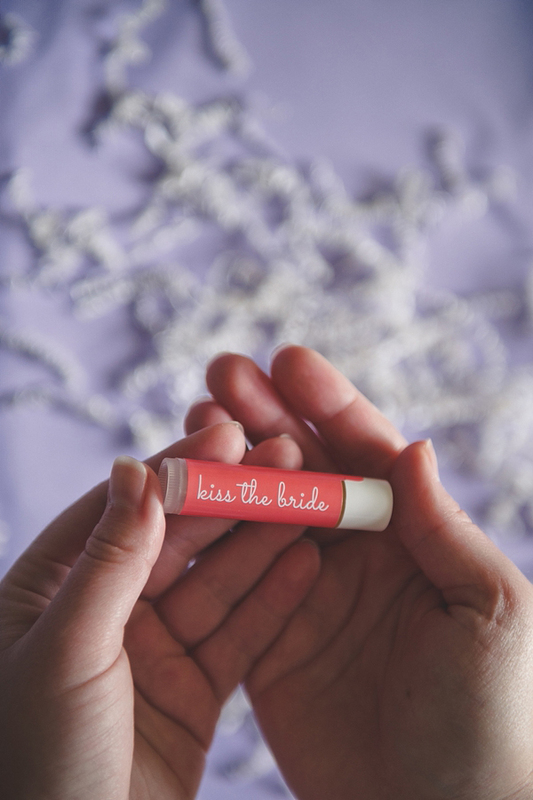 For lip stains/color and for the fun "kiss the bride" guestbook, shave some of your favorite lipstick and stir in when the liquid is hot and melted. This will be a bit of a trial to achieve which color you prefer, but it's a great touch! 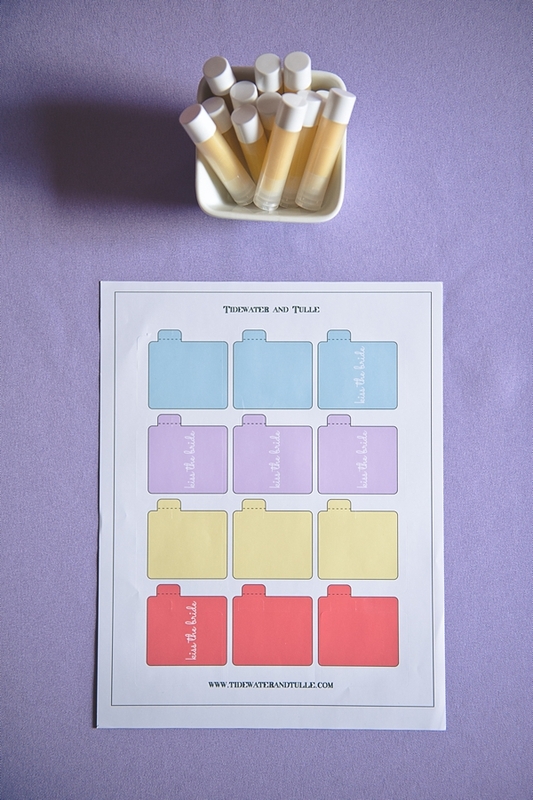 These printable templates were designed to be printed only with OnlineLabels.com's lip balm labels. When printing this template, it's very, very important that you do not "resize to fit page/shrink" in your printer settings. It will not line up with the labels if you do so. Print as "actual size" and all of the labels will come out perfectly. Feeling crafty? See all of Tidewater and Tulle's DIY projects and be inspired! All photos and tutorial were created by Tidewater and Tulle. Some of the above product links were the actual products I used and purchasing through these affiliate links helps support future DIY projects. You can find our full affiliate disclosure policy here on Tidewater and Tulle.